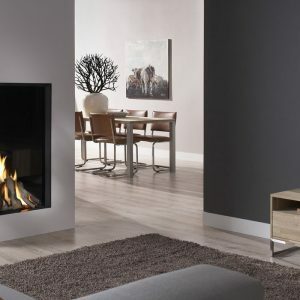 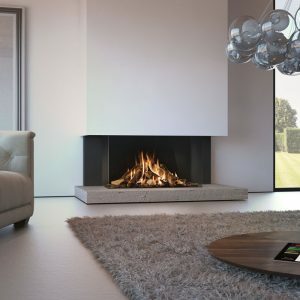 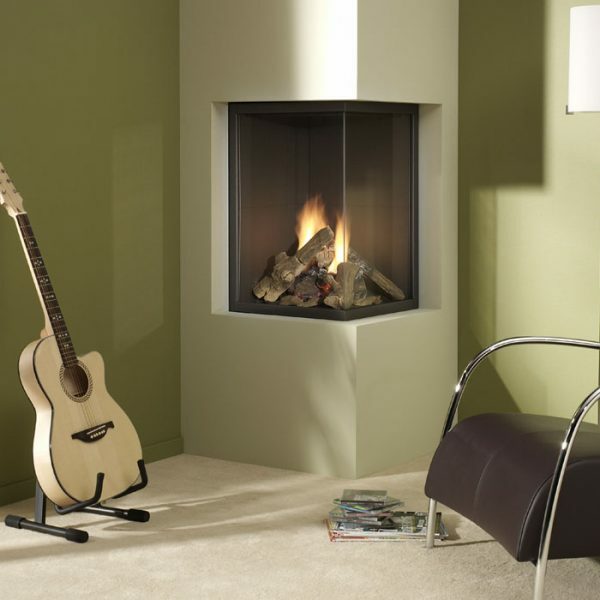 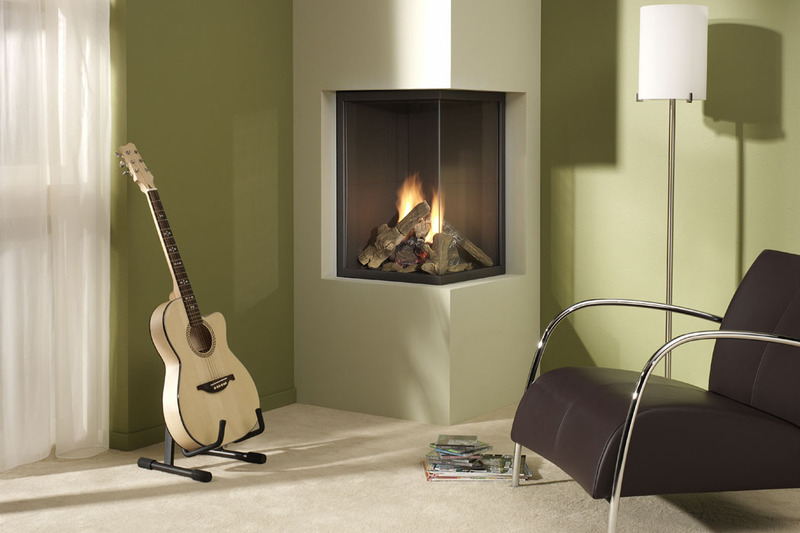 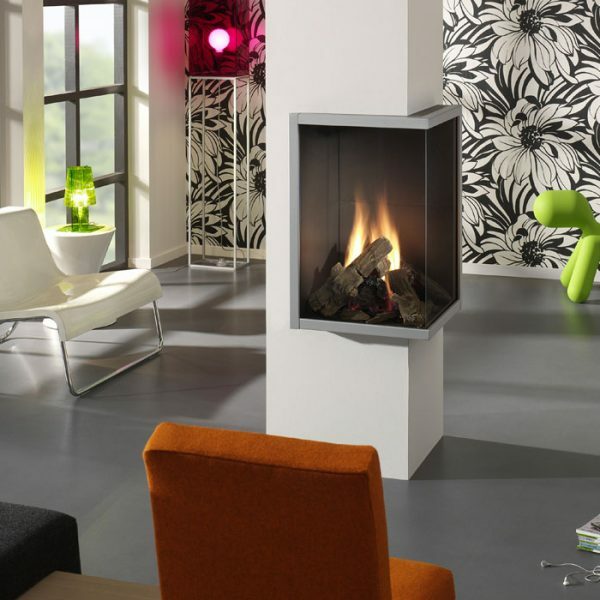 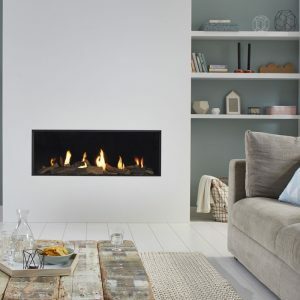 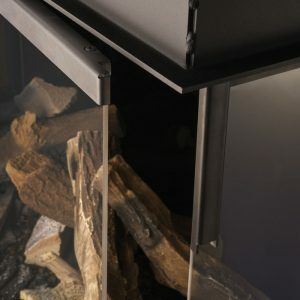 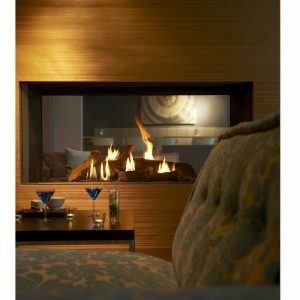 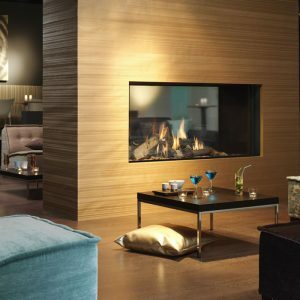 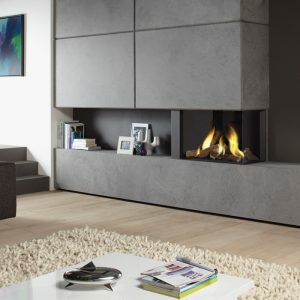 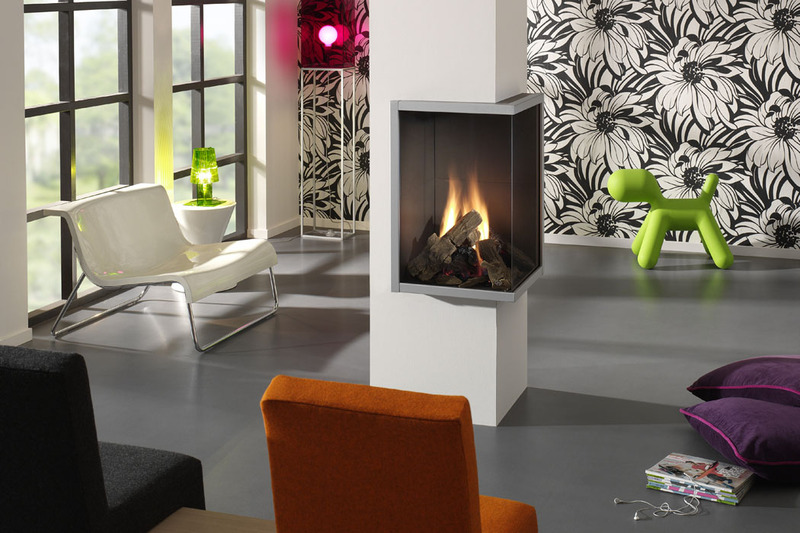 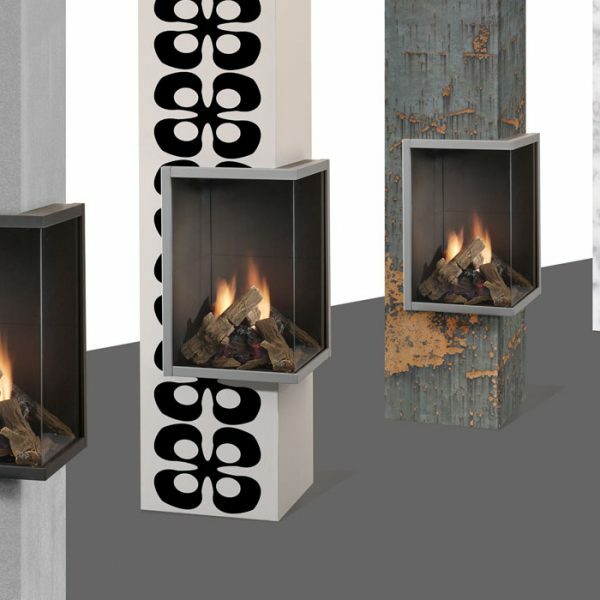 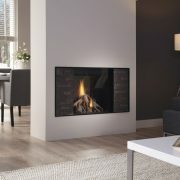 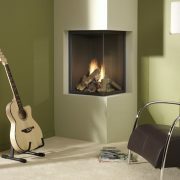 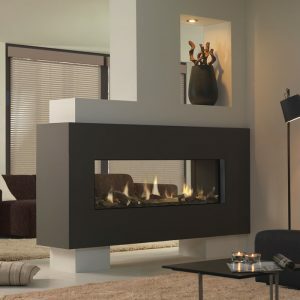 Paco is a flexible corner gas fire that can be installed to either side of a chimneybreast or turned into a prominent stand-alone room feature as our picture shows. 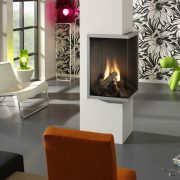 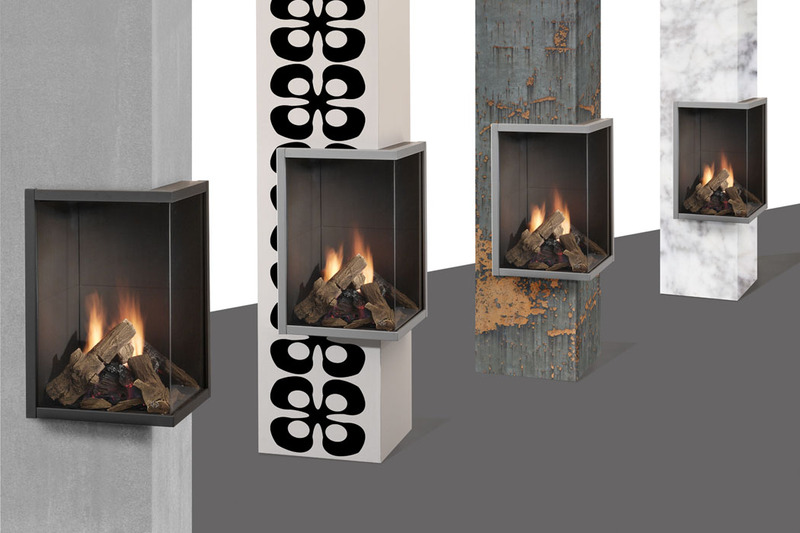 It is available in either ‘inset’ or ‘outset’ versions, with frame colours of alu-metallic or anthracite. 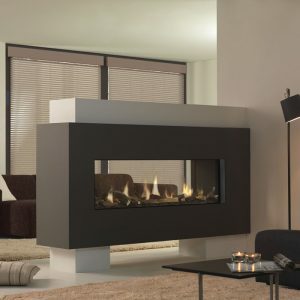 It has a heat output of 5.3 kW and an efficiency rating of 76%.